The first time I was invited to ‘try a Wine Flight’ I thought I was signing up to an afternoon in a jumbo jet full of journos knocking back the Chardonnay (wide-eyed young magazine writer that I was). Clearly, as all you more worldly folk know, a Wine Flight doesn’t actually involve travel – it’s more a tasting journey – the sampling of multiple wines, quite often paired with various dishes of food. And this latter scenario (no, not the jumbo jet jolly) took place at The Swan at Chapel Down, Tenterden this summer, to celebrate English Wine Week. What I discovered was a very special place that also boasts a stunningly beautiful setting and a seriousy cool bar. Shall we…? 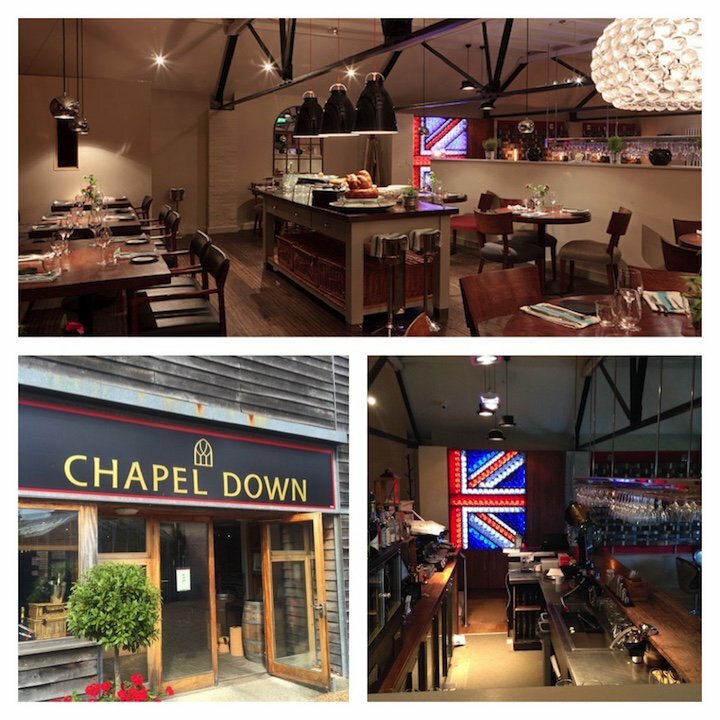 The Chapel Down winery is found in rural Small Hythe, just outside Tenterden. Kent now has more than 350 acres of vineyards, and English wines are being recognised the world over – with Chapel Down arguably one of England’s best known of the lot (they’ve cleaned up loads of international awards, including ‘Best UK White Wine’ Trophy, it’s sold in M & S and Waitrose, and their Rosé Brut was served at the Royal Wedding). 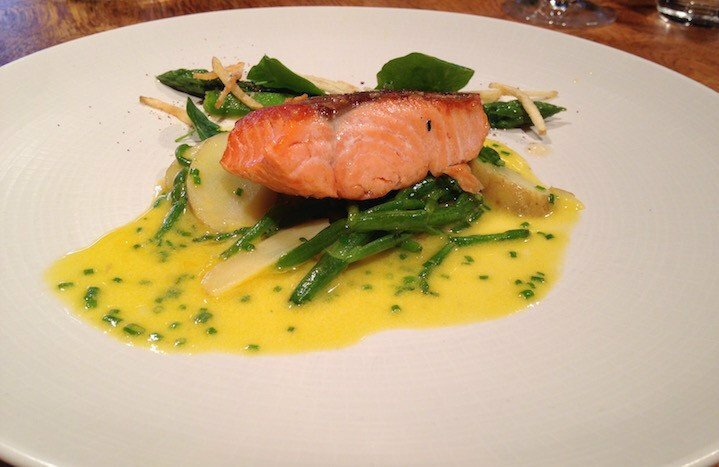 The Swan restaurant sits above the wine store and the two enterprises collaborate – with great results. 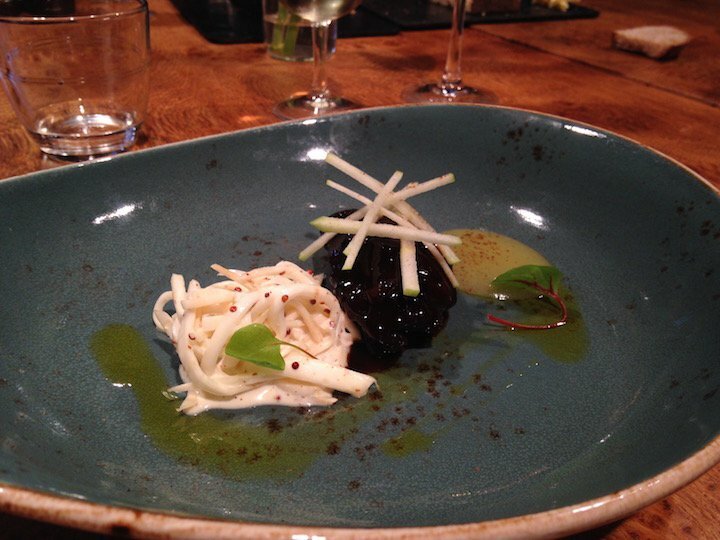 The perfect example being the new Wine Pairing menu, launched this summer, created by Head Chef Tom Genty. 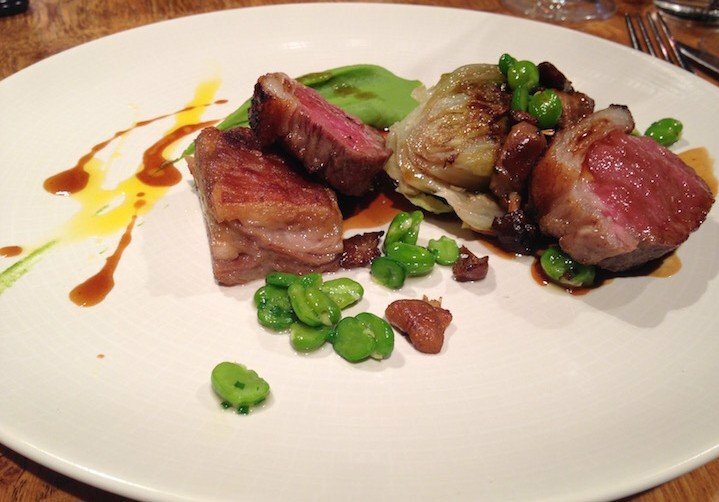 Lamb Cannon, Confit Breast, Peas and Baby Gem (paired with Passori Rosso), as above. 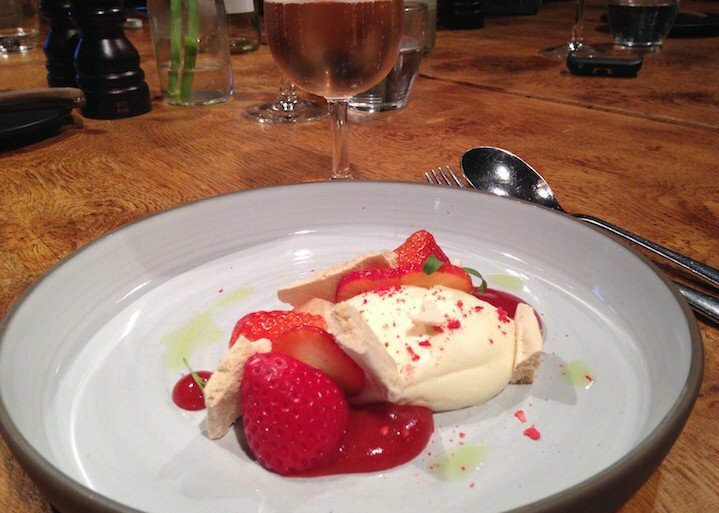 And then we struck gold with a kind of deconstructed Eton Mess made up of Strawberries, Brown Sugar Meringue Mascarpone Mousse, Mint served with Vintage Reserve Rosé Brut, see below. Now, I don’t pretend to be any kind of expert on food or wine, (although I like to give myself a lot of practise). But even I can appreciate that the right pairing can work wonders on the palate. 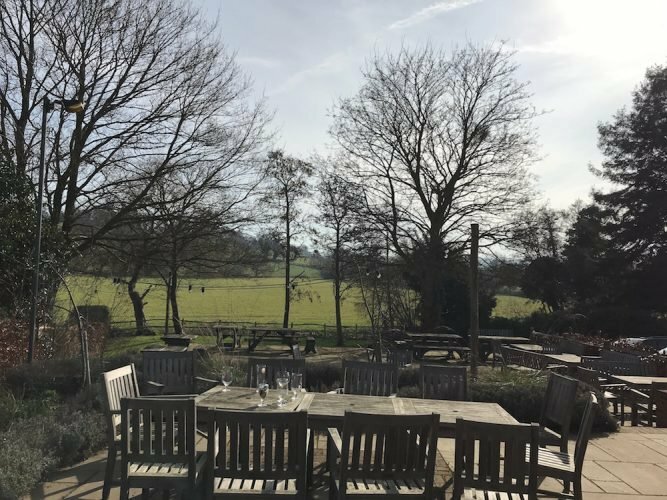 And, if you need any further convincing that The Swan is a food and wine-lovers heaven, there’s an outdoor deck with fabulous views of the vineyard all around; a seriously cool bar to enjoy a pre or post (or both) dinner drink and a Wine and Fine Food Store downstairs selling Chapel Down wines and other selected English produce. This is the kind of place you can visit for a short-time or stay all day. If you’re simply after a pleasant stroll, pick up a map at the shop, which details a number of trails that criss-cross the 68-acre estate. And the shop is a must, selling all the Chapel Down favourites, from the sparkling Three Graces to the fruity Bacchus Reserve white. Staff will lead you through a free mini-tasting if you can’t decide. To peep into the more technical aspects of the process, however, from harvesting to bottling, you’ll need to take a guided tour (around 1hr 45min), which takes you into the winery itself and offers informal tutored tastings at the end. You’ll need to book tours – and a table in The Swan restaurant – in advance, rather than just rocking up. 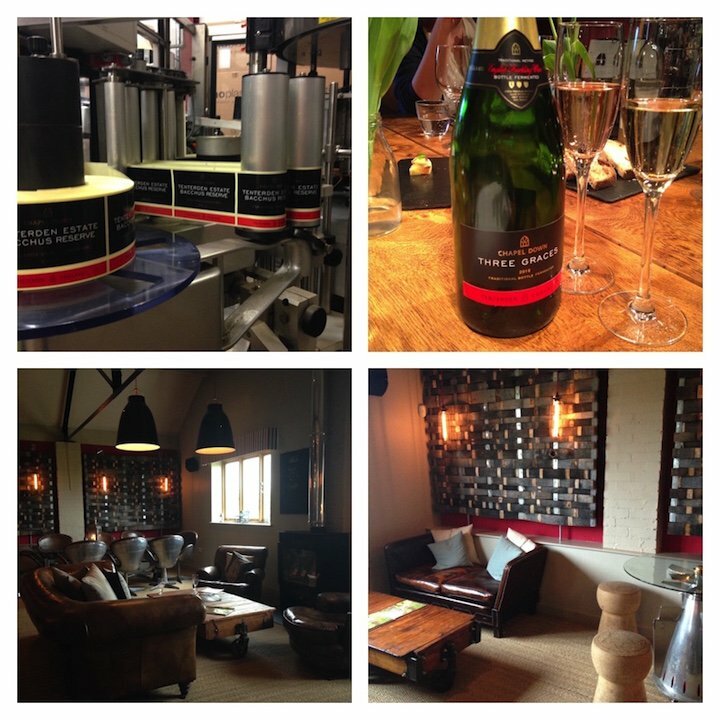 This is a great day out with a difference – perfect if you want to learn your Brut from your Bacchus! 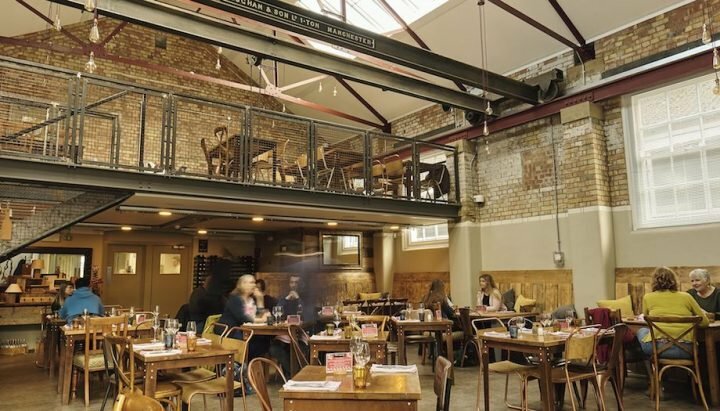 Good for: Special occasions, grown up gatherings and private hire. Just off the main serving area the restaurant has a great private room – called the Chef’s Table – where the chef can carry your dishes right through with tasting notes, the sommelier or the winemakers can come in and run private tastings, and there’s a big screen streaming what’s going on in the kitchen. Not for: Kids – this is a grown up experience and would be totally wasted in the mini muddies. 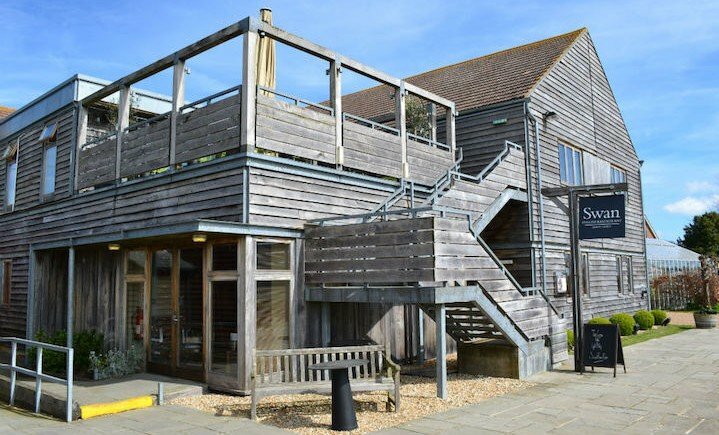 You can take a dog around the vineyard, (it must be kept on a lead) but the restaurant is up two flights of stairs so, if you’re dining, you may not want to. This also unfortunately currently means there is no wheelchair access to the restaurant. 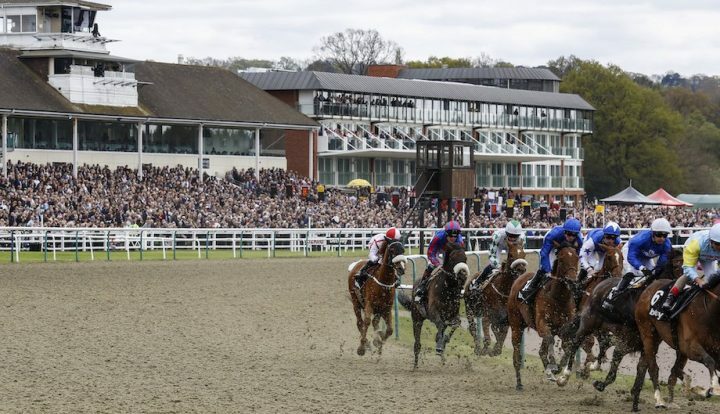 £££: 2 Courses cost between £20 – £23.50 and 3 Courses between £22.50 – 25.50. 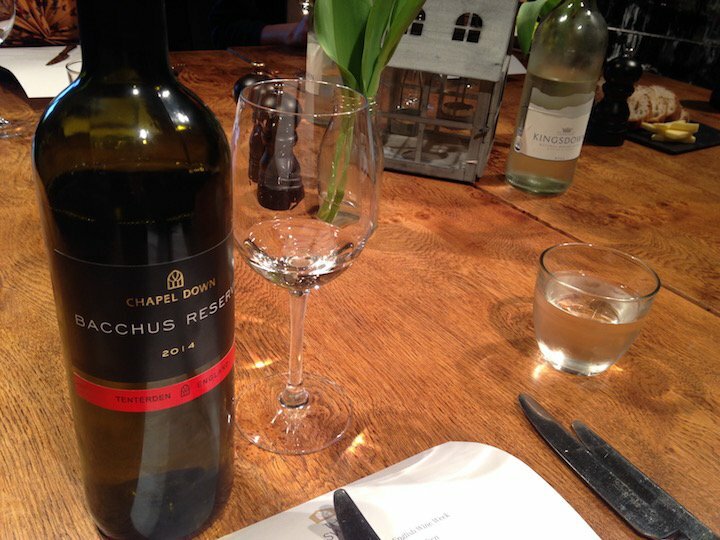 If you want to go for the Wine Pairing (125ml) – 2 Courses costs £33 and 3 Courses costs £40.